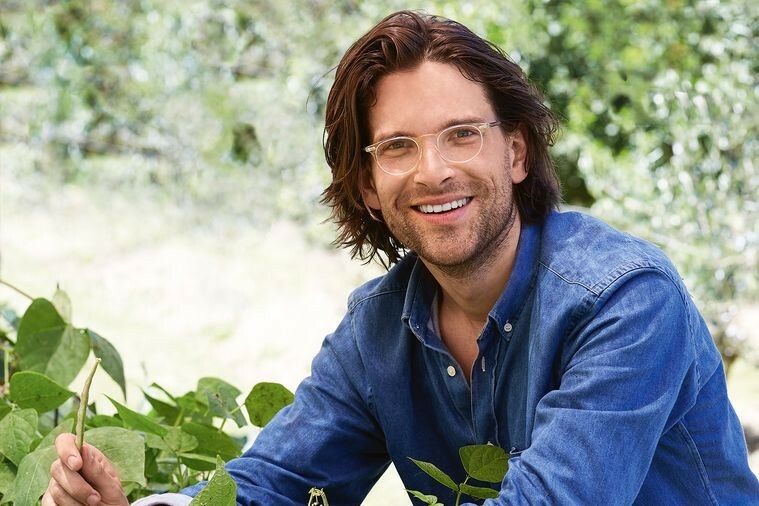 You may recognise Dr Sandro Demaio from such things as the ABC's Ask the Doctor, or from his book, The Doctors Diet, yet his talents and impact extend far beyond this. Not only is he a trained doctor, beginning his career at The Alfred Hospital in Melbourne, he is a global health expert. He completed a PhD with the University of Copenhagen, focusing on non-communicable diseases and was the Medical Officer for non-communicable conditions and nutrition with the Department of Nutrition for Health and Development at the global headquarters of the World Health Organization. He also held a Postdoctoral Fellowship at Harvard Medical School from 2013 to 2015. These are only a few mere listings on his resume, but what is more, he is a crusader for the health of our children, and the future health of their planet. Earlier this year he appeared alongside Jamie Oliver at the 2018 Business for Peace Summit tackling the issue of obesity. He is a voice of reason, with the experience and academic backing to hold him in good stead. “Few challenges are a greater threat to the health of Australians than obesity,” Demaio begins. It is easy to identify the reasons behind our food choices. Modern society opts for the quicker, easier choice when it comes to dinner after a busy day. Families are often working with a very full schedule and it continues to burgeon. There is also an abundance of food myths and trending super foods. It is hard to know what is good for us and what is bad. Demaio cuts the superfluous detailing and says plain and simple that buying fresh and seasonal is the way to go. It makes sense. To force foods to be ready well before their time, or if there is a lack of rain, does not make environmental or economic sense. It drains resources and compels the industry to act unnaturally. Pear farmers for instance have been forced into a corner this year as they had a short window of ripeness. Their crop was time sensitive, one day too early and they were not ripe, one day later, they were too ripe and growing brown. The prices went down dramatically, yet they were not all sold, even though they were affordable and could be put to good use in many ways. There is the additional desire to make fruits and vegetables aesthetically pleasing, when they taste just as good when they are a little quirky and unusual in appearance. Unusual being the operative word as we have been predisposed to expect fruit and vegetables to look a certain way. Major supermarket chain Woolworths does sell the ‘The Odd Bunch’ a project fronted by Jamie Oliver which aims to reduce waste and make use of produce that has nothing wrong with it. Sandro Demaio recognises that these habits begin early on in life. Jamie Oliver has begun the wave in the UK and the US, Demaio is bringing the attention to Australia. He practices what he preaches too as was seen on an episode of Gardening Australia in May of this year. Along the Mornington Peninsula he has his own farm, where he grows his own produce. He demonstrated the joy of the homegrown and spoke about the many benefits of nature and the organic flavours for our health. With natural ease he spoke about his Italian upbringing and ‘process’ of growing food, preparing it and sharing it- the connection. It begins from the ground up. Early childhood experiences profoundly shape a child’s understanding of the world around them. What we teach children about food and the environment forms a big part of this. A child’s lunchbox is a tell-tale sign of what their future food habits will look like. Unnecessary sugars find their way into much of what we eat. There you go, fruit is fruitful. We should all be eating a few pieces of fruit every day. The obesity epidemic has spread with the proliferation of marketing. Marketing now knows no bounds. It is denser than ever before as technology enables it to creep in and fill gaps in our consciousness. Social media and Uber Eats allows it into our homes and phones 24 hours a day. The temptations are every which way. Part of improving the standards of our eating is steering clear of the hyped-up colour and imagery thrown at children. Never one to sit idle Demaio has a new plan. Demaio returns to his roots and the ways that his own childhood shaped how he interacts with the natural world and food. He said that everyone would have a job in his household- from peeling to chopping, boiling to bottling. This connect is vital. Demaio believes that children require a hands-on approach and connection to the natural world and our food systems. We must hold onto our human connect to nature.